Backlinks aren’t always easy to come by. If you’ve earned one, you’ll want to savor the moment and maximize this opportunity to grow your business. You might be thinking: What’s there to do? If someone gives me a backlink, it just exists. Why do I have to do anything? That’s where a lot of marketers and E-commerce store owners go wrong. Backlinks are some of the most coveted digital elements in existence because of the major SEO benefits they offer. Briefly, backlinks are links to your website that come from other websites. For example, if an article on the Huffington Post contained a link to a blog post you wrote, that would be considered a backlink. Backlinks are one of the top quality factors in SEO. Search engines view them as a type of promotion that indicates, whatever is on that linked web page, is valuable. Otherwise, why would someone link to it? 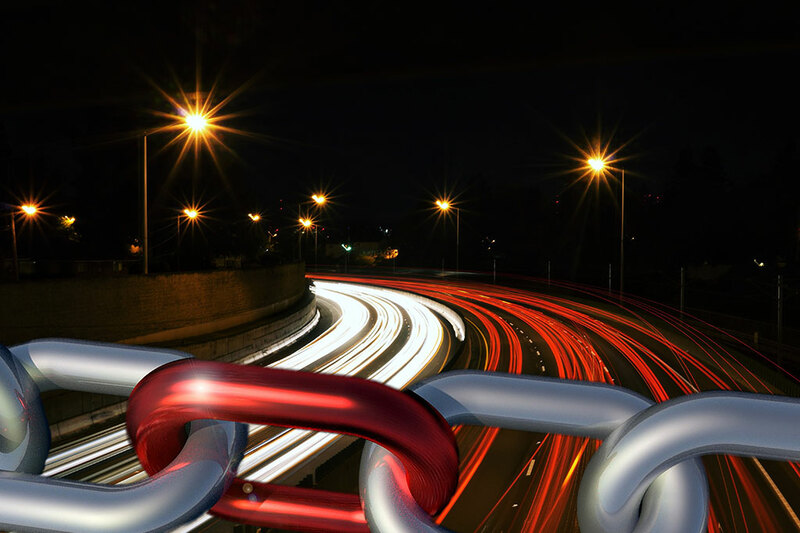 Building backlinks is a critical piece of every SEO strategy. The more backlinks you have, the better chance you have of improving your search rankings. Though rich in SEO benefits, don’t start celebrating your backlink just yet. Not all backlinks are created equal. If they’re a qualified source, you can expect major points in the SEO department. But some backlinks can actually do more harm than good. SEO tools like Ahrefs or Moz can show you where your backlinks are coming from. Once you find the sources, visit those websites to see if they’re legit. A best practice is to download the Moz toolbar (it’s free! ), which will tell you a website’s Domain Score and Page Score. The higher the DA and PA, the higher quality of the website. You don’t want to associate your domain with websites that look spammy. Spam blogs and spam directories won’t do you any favors, and can actually damage your website reputation. If you can locate the link on the page, it’s a good idea to test it for functionality. You want to make sure that the users clicking the link are directed to the appropriate place. If for some reason the link is broken or otherwise not working, you can reach out to the website owner to see if it can be fixed. A ‘nofollow’ link contains a special line of code that tells search engines not to crawl it. The link still exists. People still click on it and get redirected to your website. But there’s no SEO value in it. There may be times where you’re earning traffic through a link but the website containing the link seems suspicious, spammy, or otherwise undesirable. In these cases, you can request the link be ‘nofollow’ in order to mitigate your damage without sacrificing website traffic. The anchor text is the linked text that people click to be taken to your website. Anchor text matters in SEO because it can help with keyword rankings. You want the anchor text to be related to your website or content in some way so that you can start ranking for those terms in organic search. Check the link’s anchor text to see if it’s a good fit. If you’re not happy with the anchor text, you can try reaching out to the website owner and suggest a change. Poor anchor text choice shouldn’t be considered an automatic fail. It’s still a link that could send traffic your way. If your link ends up on a spammy website, you have two options: send a request to the website owner to remove the link or Disavow the links. Ideally, if the website doesn’t charge a fee for link removal, you should first try contacting the site owner. Some websites will charge a fee to remove the link, at which point you should head straight for the Disavow option. Disavowing a link is a fairly simple process. You’ll log into your Google or Bing webmaster tools and use the Disavow tool to tell search engines not to crawl your link on a particular website. This is a last resort option, according to Google. You should use it only if you believe you have too many low-quality or spammy links pointing toward your website. Truth be told, a few poor quality links won’t do much damage, especially if you have hundreds or thousands of backlinks. Just like online reviews, the more good ones you have, the less the bad ones will matter. Giving your backlink angel a link of their own somewhere on your website is one of the easiest ways to say Thank You. However, make sure you add the link naturally within your content. Any link you include should be relevant to your website and audience, but if you can work it in organically, then by all means, do so. Building backlinks takes time, especially if you want to earn them the right way (i.e. don’t pay for them!). The hard part is over when you do finally earn one, but you still need to do your homework to ensure you’ll reap the benefits of backlinking. Following the above tips can help keep your website from being penalized, so the only place your rankings have to go is up. For more insight on maximizing your E-commerce store for search engines, head back to our blog or schedule a call with one of our consultants.